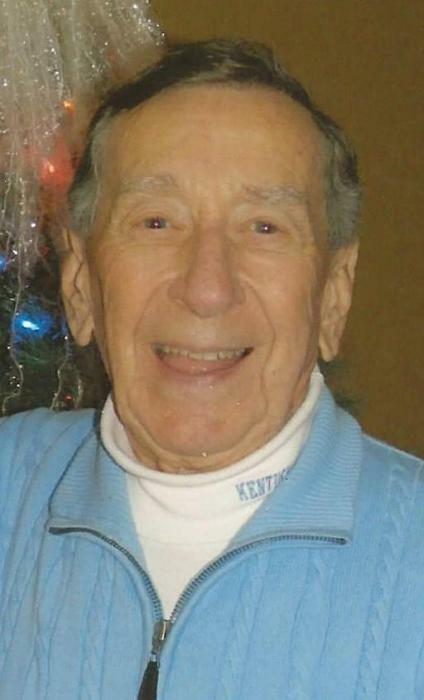 Edwin L."Togy" Davis, 87, of Crestwood passed away peacefully Wednesday March 20th, 2019. He was the owner of Davis Mechanical and drove a school bus for Oldham County Schools until his retirement in 2015. He was a lifelong member of Crestwood United Methodist Church.He was preceded in death by his wife of 38 years Carol Hampton Davis and sister Martha Turner. He is survived by his children Amanda Hettich, Mike Davis and his "favorite" daughter-in-law Stephanie; Grandchildren Lauren DesJardins, Gabby Davis and Ryan Davis; sisters, Betty Coakley, Virginia Hamm and Shirley Parker; brothers, William Davis, and Charles Davis, as well as many nieces and nephews and dear friend Linda Hooser. Visitation will be held at Crestwood United Methodist Church Sunday, March 24th from 1pm to 4pm. A Celebration of Life Service will follow at 4pm. The private burial at Floydsburg Cemetary will follow at a later date. In lieu of flowers memorial contributions in Ed's name may be made to the Oldham County Humane Society or a charity of your choice. The family would like to express their sincere gratitude to the entire staff of Magnolia Springs East and Friendship Health and Rehab for the outstanding care shown to Ed during his time with them.